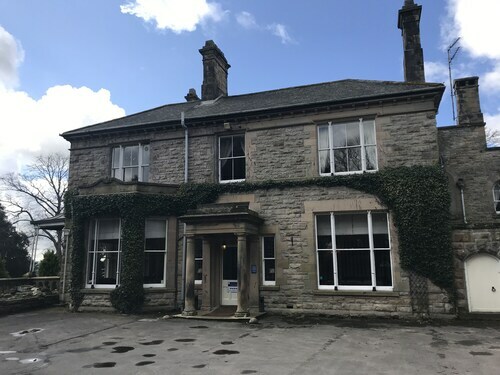 Situated in Cockermouth, this hotel is close to Wordsworth House, Wordsworth House and Garden, and Jennings Brewery. Local attractions also include Castlegate House Gallery. 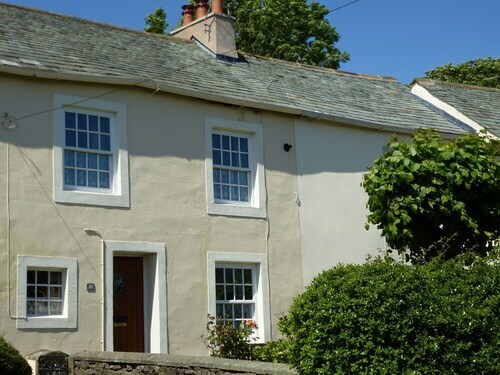 Situated in Cockermouth, this cottage is 2.9 mi (4.7 km) from Wordsworth House and Garden and 3 mi (4.8 km) from Wordsworth House. Lake District and Castlegate House Gallery are also within 6 mi (10 km). Situated by the ocean, this romantic property is 3 mi (4.9 km) from Wordsworth House and Garden and 3.1 mi (4.9 km) from Wordsworth House. Lake District and Castlegate House Gallery are also within 6 mi (10 km). 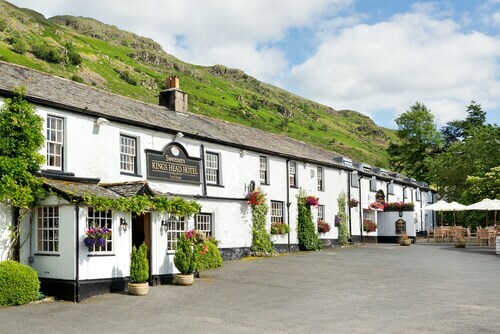 Situated in Keswick, this inn is 0.1 mi (0.1 km) from Lake District and 2.7 mi (4.4 km) from Hellvellyn. Castlerigg Stone Circle and Threlkeld Quarry and Mining Museum are also within 6 mi (10 km). 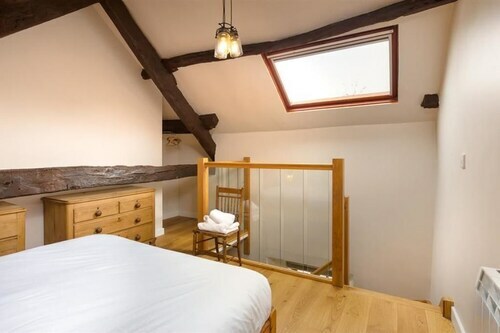 How Much is a Hotel Room in Great Broughton? Hotels in Great Broughton start at $92 per night. Prices and availability subject to change. Additional terms may apply. Researching the best way to spend time in Cumbria? Through Travelocity's booking page, you can choose from a limited number of places to base your adventure in Great Broughton. The middle of Great Broughton offers 8 excellent accommodation options within 6 miles (10 kilometers). Look into several Travelocity-listed hotels you can find within a 3-mile (5-kilometer) radius of Great Broughton's heart, such as the The Old Mill Inn and The Old Mill Inn. 12 miles (20 kilometers) away from central Great Broughton, you can find the Swinside Lodge Hotel. The The Pheasant Inn can be found approximately 8 miles (12 kilometers) away. Another two hotel options in the neighborhood include the Best Western Plus Castle Inn Hotel along with the Hundith Hill. Ambleside is 25 miles (37 kilometers) to the southeast of Great Broughton and is home to Hill Top and Dove Cottage. 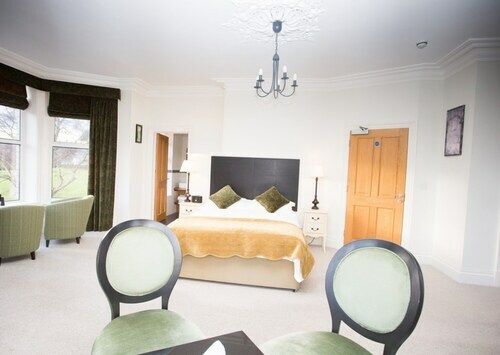 The The Daffodil Hotel and The Wordsworth Hotel and Spa are some of the convenient lodging alternatives in Ambleside. Alternatively, you could consider staying at Cockermouth, 5 miles (9 kilometers) to the southeast of Great Broughton, where you have the options of the Allerdale Court Hotel and Embleton Spa Hotel. The Jennings Brewery and Crummock Water are some more frequented sites to get to know when in Cockermouth. Before saying your farewells to Cumbria, make sure you take in a fast-paced game. Stop by Bloomfield Road, found to the south of Great Broughton. And travelers that need to find accommodation near the stadium can compare the Blackpool FC Hotel or the Surrey House Hotel. Visit our up-to-date Great Broughton city database and unveil the numerous things to do, see and eat this part of the world is home to. Sorry to say that we booked this Country House based on its 4 star rating. It was more of a very well-used 2 star hostel than a 4 star Country House (or 4 Star anything). Upon arrival it was obvious the property was not up to 3, much less 4 stars. The place is on the shabby side and badly in need of an update. Although clean, the bathroom was incredibly small and uncomfortable, the bed needed a new mattress, and it was well past time to replace the carpet and verticals (yes, verticals), etc., etc. Upon seeing our room, we immediately made other arrangements and left first thing in the AM after breakfast (which was fine). We sent an e-mail that AM, saying we wouldn't be back and received no reply. For some this might be a good option,(clean & decent breakfast), but we base our choices on the star rating, and these need to be revisited. Travelocity was good enough to refund us. I was passing through England and planned on staying 4 days in Keswick. The weather got pretty cold and rainy which would normally have made me move on to the next location, but the Cumbria area, hiking, town, food, and hotel were so enchanting I decided to bundle up, put on a poncho, and ended up actually staying an extra day! Lindsey is wonderful and extremely fun to chat with and accommodating. As a result, this hotel is almost always full, so book months in advance! This is now one of my cherished memories and I hope to return someday with friends to share the experience!